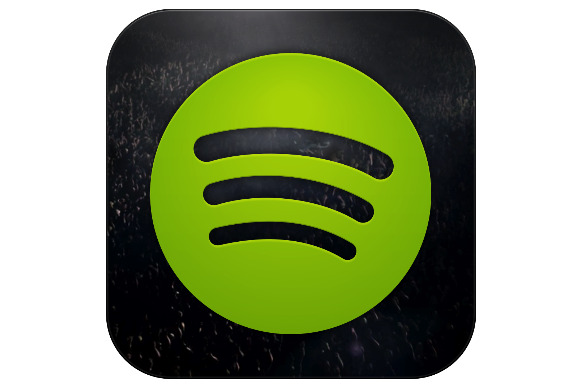 Spotify has a lot of things going for it, but the experience of using it isn’t necessarily among them. On Tuesday, the company moved to address some of those shortcomings with an update that primarily affects iPhone and iPod touch users. Oh, and there’s a new icon to go along with it. The road to discovery is paved with Discover. First is the Discover feature, which suggests artists and albums you might enjoy based your previous listening habits. 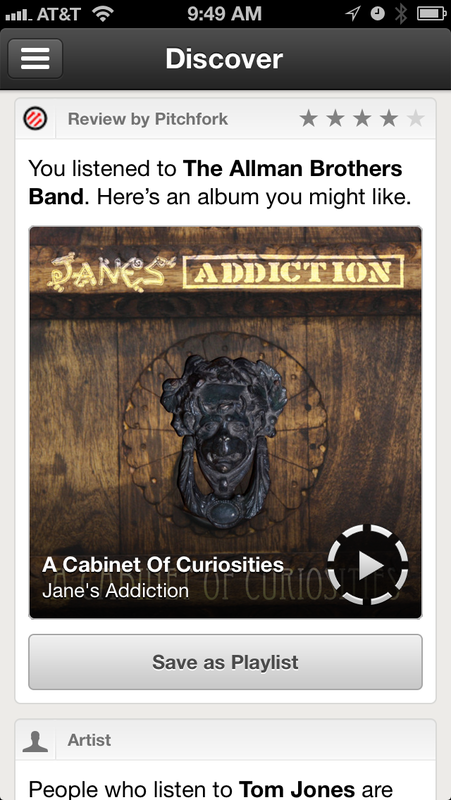 It also shows new releases from bands you enjoy. You can save any suggested album as a new playlist to listen to later, or select Play Next under a suggested artist to start playing a mix of tracks. Discover (which is also available on the desktop/Web app and is coming soon to other mobile devices) replaces Spotify’s What’s New? section, and there doesn’t seem to be a way to get it back if you so desire. Unlike on the desktop, the iPhone app shows Discovery items in one long, ever-scrolling list, which makes it slightly less useful and harder to navigate. Another cool addition is the ability to edit playlists directly on your iPhone. When viewing a playlist, tap the three dots in the upper right corner and you’ll see a green Edit button, followed by gray Share, Start Radio, and Make Collaborative options as well. Tap Edit and you can rearrange or delete tracks on the fly. Spotify also touts a “shiny, new Now Playing view, featuring the ‘Up Next’ queue” but in my quick run through it didn’t appear that the Now Playing view had changed at all. Other changes include reordering of the search tabs, improved Ford integration, and better track counts in playlist folders. And Spotify promises it’ll bring the new features to “everyone” soon.